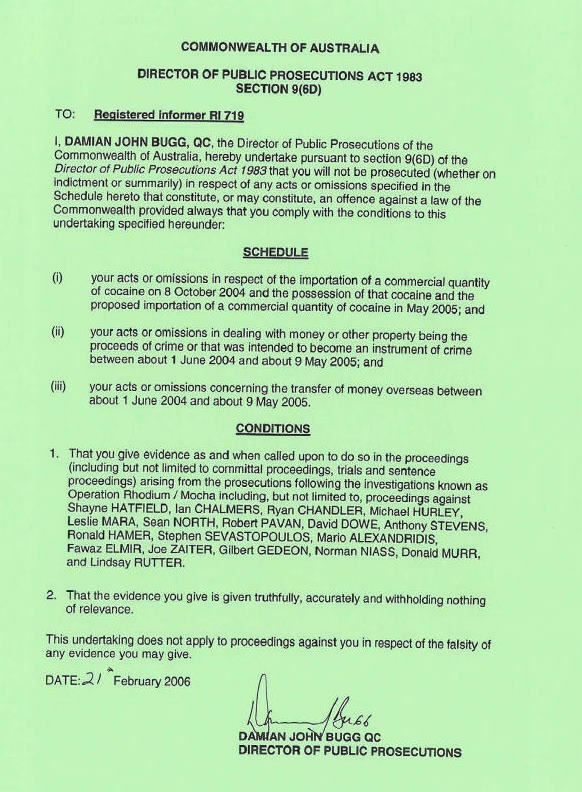 Operation Rhodium was the follow-on name from Operation Mocha, which embraced the 10kg of cocaine being handled in exactly the same baggage make up area, at exactly the same time, as Schapelle Corby's boogie-board bag, when it passed through on 8th October 2004. An informant, code named 'Tom', was an integral part of this baggage handler syndicate. 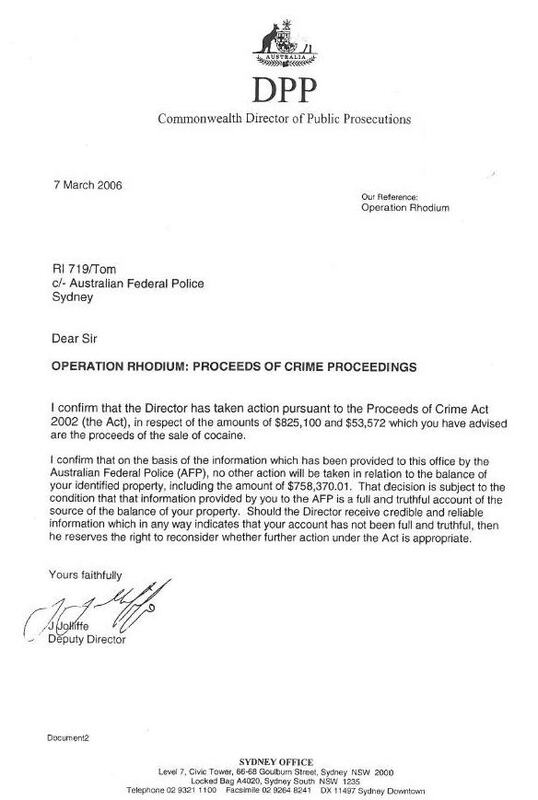 However, not only was he never charged, but as the letter below reveals, he was allowed to keep $758,370 of the money he had accrued from the sale of cocaine. Note that it has been stated by credible sources that this government generosity also bought his silence on a number of matters, including the scale of police involvement on 8th October and other dates. 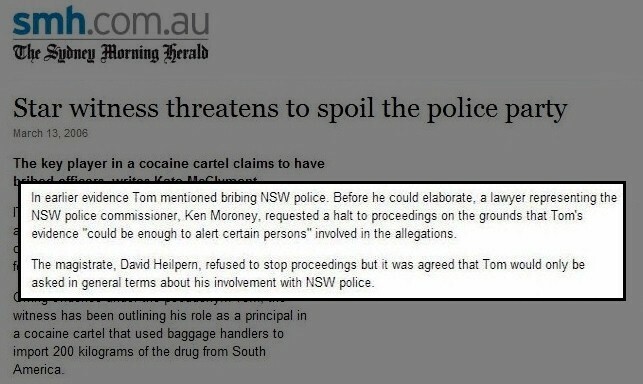 Indeed, he was prevented from disclosing some of this information by a magistrate, when he gave his evidence in court. 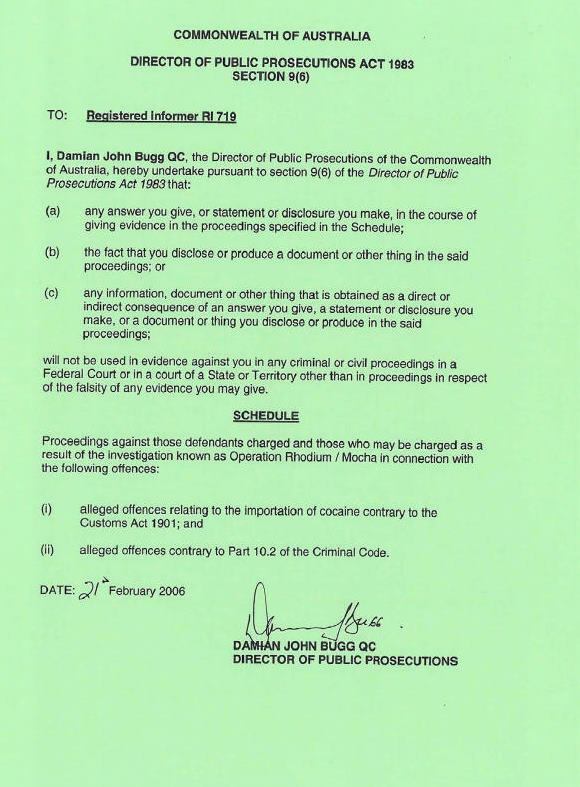 Compare this approach to the ruthless and expensive pursuit of Schapelle Corby's innocently earned book royalties, which denied her the funds for another appeal, and for ongoing medicines.